Enjoy our high level transfer services to/from Alimos Marina and we promise you the best transport prices without waiting at airport, port, station and without hidden debits. The most significant historical affiliation of Alimos is that with Thucydides. Thucydides was born in Halimous, and is often referred to as "Thucydides the Halimousian". The bust of Thucydides is the emblem of Alimos, which is commonly used between schools in the area. Furthermore, the First High School of Alimos is called Thoukydidio, after him. Alimos is situated on the Saronic Gulf coast, 8 km south of Athens city centre. The Hellinikon Olympic Complex, built on the grounds of the former Ellinikon International Airport for the 2004 Summer Olympics, lies south of Alimos. 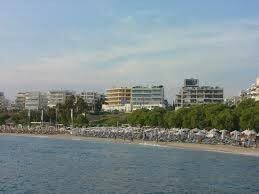 The built-up area of Alimos is continuous with those of the neighbouring suburbs Palaio Faliro, Agios Dimitrios, Ilioupoli, Argyroupoli and Elliniko. Alimos has a large marina and several beaches. The main roads of Alimos are Poseidonos Avenue along the coast, Kalamakiou Avenue and Alimou Avenue. The nearest subway station is at Alimos metro station, in the eastern part of the municipality. The western, coastal part of the municipality is connected with Athens city centre by the Athens Tram. Enjoy our high level transfer services to/from alimos marina and all over Greece and we promise you the best transfer prices without waiting at airport, port, station and without hidden debits.